Former international lock Shade Munro is to take over as the new head coach of the Scotland Women's team. The 48-year-old is replacing Jules Maxton, who has been in charge for the last two years. 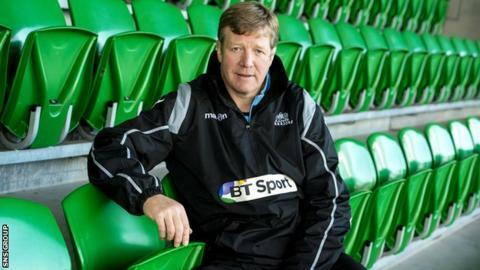 Munro, capped seven times, ended his 12-year forwards coaching stint at Glasgow Warriors on a high last month with the Pro12 title. He takes over a team that has not won a Six Nations match since the 2010 campaign. "I'll be coming in with a blank sheet and no preconceived ideas so it's a fresh start for the players as well as me," said Munro, who was was part of the Scotland coaching set-up in 2006 and head coach of Scotland A in 2013. "I've got a lot of experience in professional rugby and I'm keen to bring that to the women's game, to link the two and move the team on. I'm really looking forward to the challenge." It was announced that Munro was leaving the Warriors in March, with Dan McFarland arriving from Connacht to replace him for next season.